Buying a home is generally one of the biggest investments most people make. It is an exciting purchase and many times, a very emotional one as well. Those that have purchased properties before become familiar with the process but many first time buyers are often taken completely by surprise when suddenly faced with the many additional expenses involved in the transaction. The purchase price you manage to negotiate for the property is obviously the most expensive aspect of the deal but many of the other costs involved are quite significant and together, they add up to so a significant amount of money. They can be as much as 8 to 10 percent of the purchase price. Sadly these additional costs are often not communicated clearly and many buyers enter into the transaction without all the necessary information. They often have not budgeted for the full extent of all the extras and are caught off guard. Being caught unaware or underestimating these expenses can put an enormous strain on your budget, especially if you are buying close to the maximum you can afford. This will be a cause of stress and sour the enjoyment of what should be a happy milestone in your life. It is essential that you are aware of these costs and factor them into your decision as well as your budget. This a fee paid to the attorneys handling the bond transfer for their conveyancing services, getting the bond officially registered and transferring the property into your name. The fee generally ranges from 0.5% to 1.8% of the loan amount. It is subject to VAT and payable before the bond is registered. As with all legal transaction, attorneys bill for all aspects of their service. This amount is normally quite small and ranges from about R300 to R600. The deeds office will charge a fee for the Title Deed as well as registration and transfer of the property into your name. It is paid before transfer and the amount is based on the value of the bond. Costs can range from R 900 for a R 1 000 000 bond to R 2 100 on a bond of R 10 000 000. One of the more significant expenses is the transfer duty. It is a government tax charged for the transfer of ownership of the property. No transfer duty is payable on properties sold for less than R 900 000 or where the seller is a registered VAT vendor. 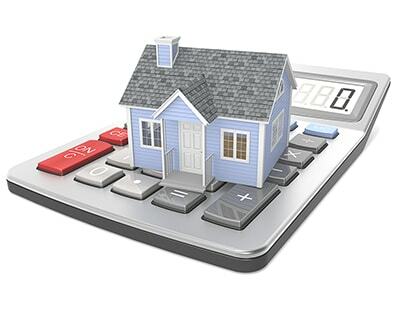 Where the fee is payable, it consists of a percentage of the property value as well as a flat fee. For example, a property valued at R 1 250 000 to R 1 750 000 will be subject to fees of 6% of the value over R 1 250 000 as well as a flat rate of R 10 500. A property valued between R 2 250 000 and R 10 000 000 would command fees of 11% of the value over R 2 250 000 and a flat fee of R 80 500. Although the seller is obligated to ensure these are all up to date prior to transfer the local authority will require a prepayment from the purchaser. This varies from area to area, determined by the relevant local authority and based on their valuation of the property. This needs to be paid before transfer. The bank arranging the home loan will charge an initiation fee for processing the application. It is important to note that many banks will still levy this fee even if they reject the loan. Fees vary from bank to bank and it is either a flat rate or a base rate and percentage of the loan amount. The maximum fee chargeable is R 5 985 inc. VAT. The fee is normally added to your bond amount. These are monthly fees charged by the bank to administer the loan and vary from bank to bank. Although they are not exorbitant it is a good idea to compare charges and factor them into your budget. The loan provider will require you to take out insurance to cover the property in the event of fire, storm damage and other natural disasters. This is a monthly or annual premium based on the value of the property and can be taken through the lending bank or a registered insurer of your choice. The insurer will also require that your life and income earning ability is covered for the duration of the bond. If you have an existing Life Assurance Policy this can be ceded to the bank or you could take a new, separate one for this purpose. Again, this can be done either through the bank or your personal broker. The policy should provide cover for death, disability, dread disease and retrenchment. Shop around for rates from reputable insurers. Last but not least is the deposit. Not that long ago, it was easy to secure a bond of 100% or even more than the purchase price. This is rarely the case anymore, particularly for first-time buyers. There is no fixed rule and the amount requested will depend on your risk profile, the area you are buying in and a range of other factors. Deposits could range from 5 to 30% of the purchase price. It pays to compare the requirements and offers from a range of financial institutions but a decent deposit will save you significantly in the long run. The above costs and fees are all legal requirements necessary for the purchase of the property but there are a number of other personal costs to consider. These include utility deposits, Telkom and internet service provider installation fees, satellite TV installation and moving costs. You will also be required to pay occupational rent if you take occupation of the property before the transfer is concluded. This should be stipulated in the offer to purchase. As you can see, some of the costs are significant and together, add up to a substantial amount of money. It is important to be aware of these additional costs and ensure they are sufficiently budgeted for in order to prevent your dream purchase turning into a financial nightmare.